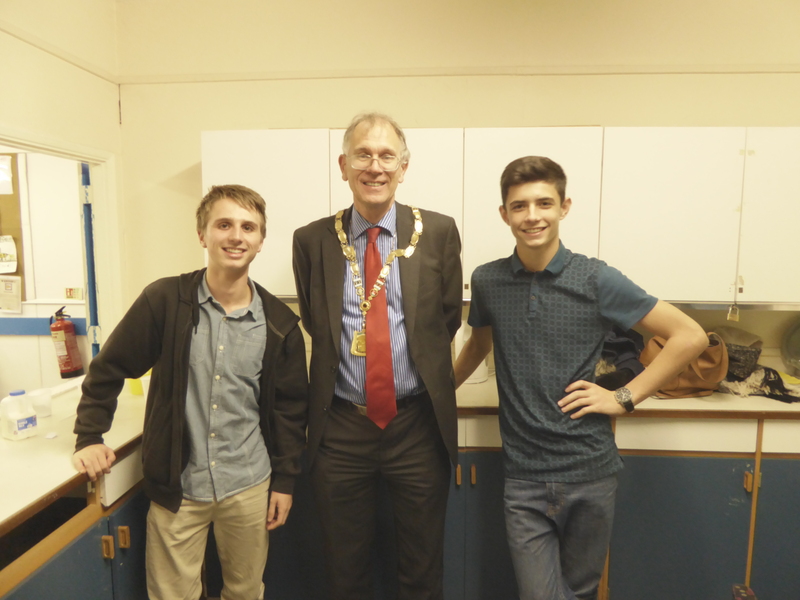 I visited the Chorleywood Youth Club, in which the young people who attended (most from year 11 at St. Clement Danes) and I did a question and answer session on the Role of the Chairman of TRDC. They were doing a range of craft activities for a Christmas Fair that they were going to on Saturday. I also did the official turn on of the outside lights. The bulbs had been replaced by Martin Trevett since my last visit to the AGM. Pool and Table Tennis are available at the Chorleywood Youth Club. After leaving Harvey Road School it was home to do some work and then on to visit Home-Start at noon at 7 Lord Street, Watford. They are celebrating 20 years and it was great to have a chance to visit their office, meet Gloria and Emma and find out more about the work of Home-Start. I had met them both at the AGM. I also visited the shop which was in the same street. 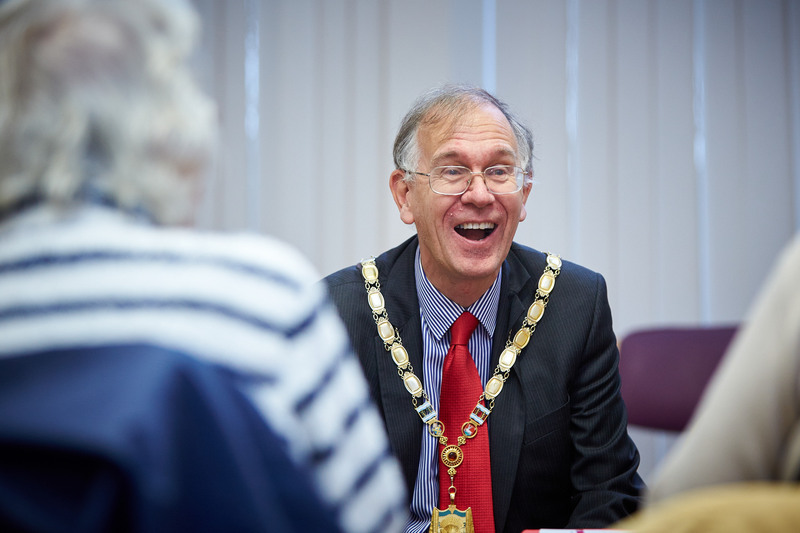 Home start provide support to parents in Three Rivers, Watford and Hertsmere. I had a Tour of the School with Nick Rowland, the Head Teacher. While the School Assembly took place, I met the School Council, briefly talked about the role of Chairman for TRDC and then everyone on the School had the opportunity to ask a question. 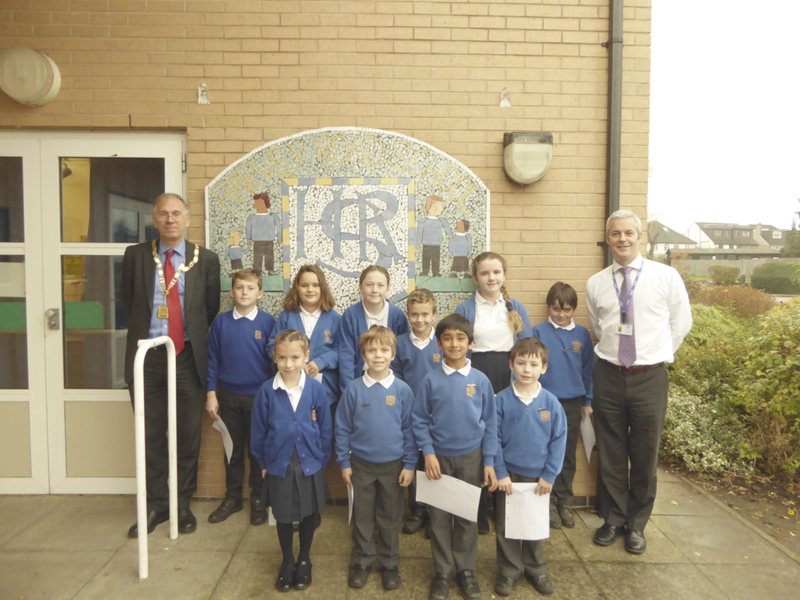 I had a photo with the School Council. They had had about 3 or 4 meetings since I gave them their badges in September. 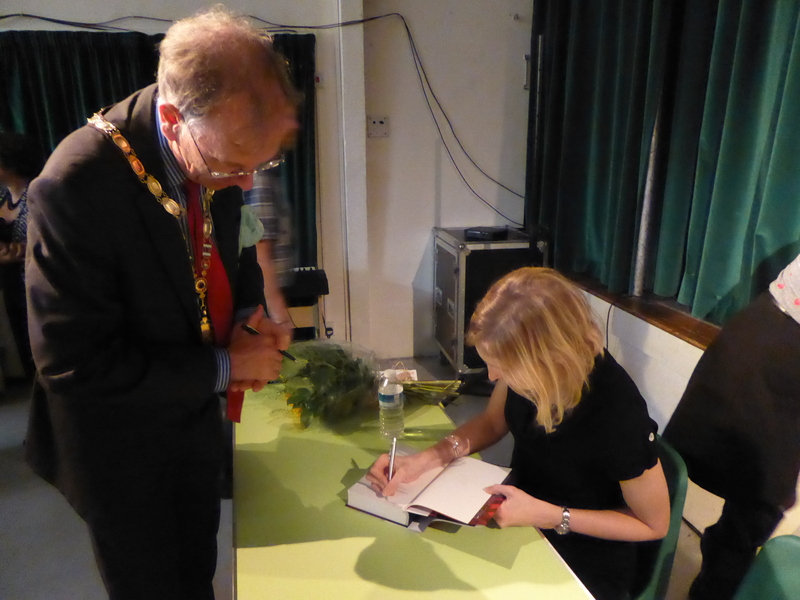 This was the third event of the Chorleywood Literature Festival. The speaker was introduced by David Gauke MP. The book was about Thomas Cromwell and the author, Hilary Mantel, has certainly helped in portraying him in a more favourable light. Tracey Borman spoke without notes for nearly an hour about her fourth book and then was answering questions and finally signed books. When Tracey is not writing books, she is Chief Executive of the Heritage Education Trust and joint senior curator of Historic Royal Palaces. This was my fourth event of the day. 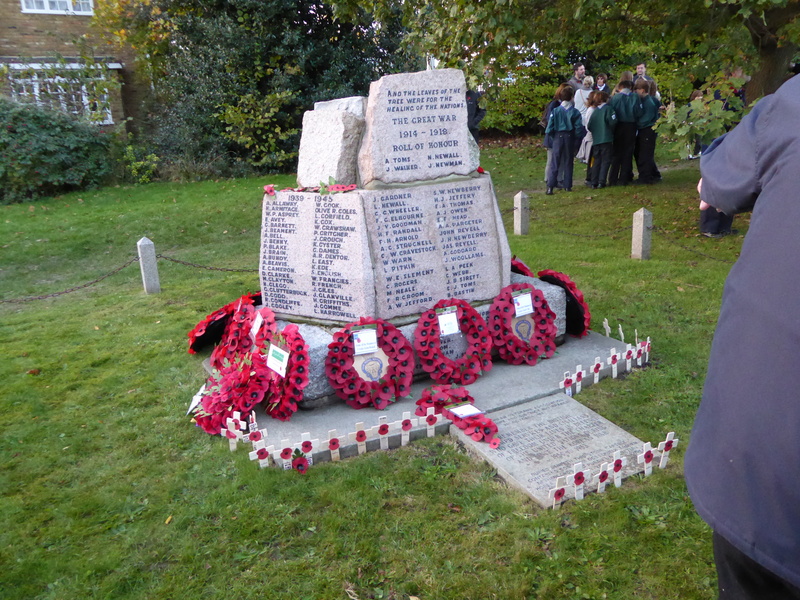 We met to remember those who died in all wars but particularly WW1. The parade to All Saints Church left at 2pm. The service started at 2:30. After the service we all paraded to the war Memorial in the dry. I laid the wreath on behalf of Three Rivers Council. 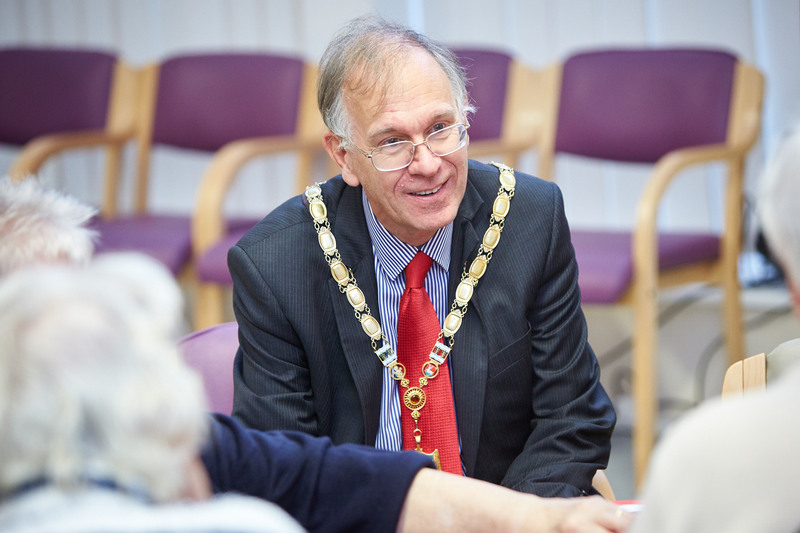 Other councillors were doing the same around the District. As the leaves fall from the trees we remember those who have died in WW1 and WW2 and over 7,000 since 1945. 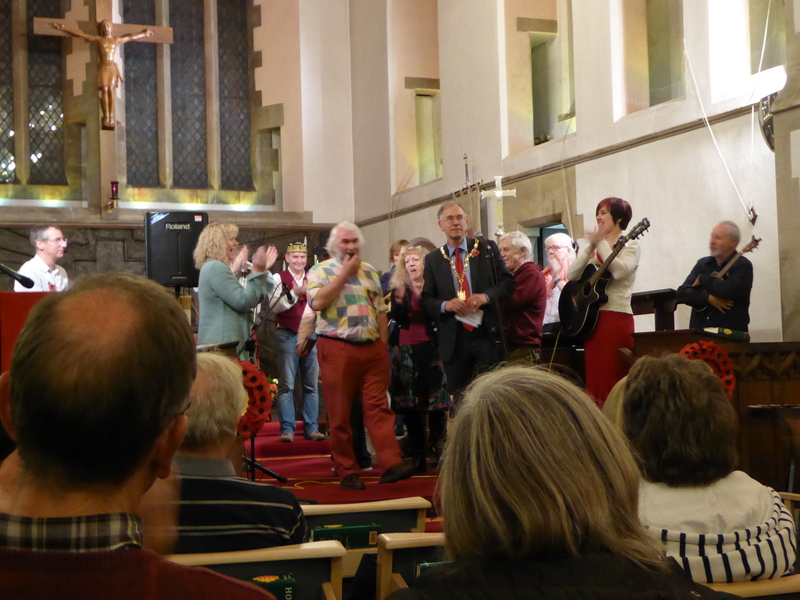 It was an evening of Modern and Traditional Folk music commemorating those who fought in the Great War. David Silver, Christopher and Mark Lawley, Linda Birmingham, Dave Auld and Liz Lawley, Mike and Sue Stimpson, Daria Kulesh, Dudley Edmunds, Lin and Paul, Julian Mount, Alison Raymond, Stephen and Asher, Hamish Currie. For the final song all the performers came together to give us a moving finale. All Saints Church provided refreshments between the two half’s. There was a retiring collection for the All Saints WWI Commemorative project. The Church is planning a permanent memorial to commemorate the village service men. One song mentioned Dunkirk and soldiers leaving France in 1940 and other being left behind. Both my parents left France in 1940 on some of the very last boats.